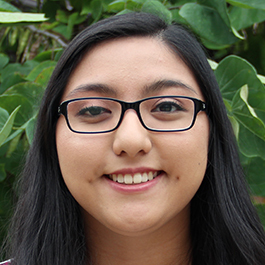 Sandra Camarillo of Goshen, Indiana, will graduate from Goshen College with the Class of 2018 with a bachelor’s degree in public relations and marketing. Sandra started interning at the Everence® headquarters in the spring semester of the 2017-2018 academic year and will continue through the fall semester of the 2018-2019 academic year. I write articles, both for Connection (an internal website for employees) and for use on the public website. I assist Marketing Manager Allison Schrock with a variety of credit union materials and projects. My biggest project has been planning for Youth Savings Week. I have also been assigned to translate materials from English to Spanish. My favorite assignment is uploading articles to the website. So far, I have had exposure to a wide variety of projects. I like that I am given a task or assignment and I’m trusted to work through it on my own. I get to use my own creativity and ideas to develop articles. I’ve also enjoyed the friendly atmosphere I’ve experienced here at Everence. Everyone is very willing to help me work through a problem or answer any questions I have. I have been able to see firsthand how your values can align with your work. You don’t have to sacrifice one for the other. It’s been very valuable to be a part of an organization that allows employees to live out their values through their work.